Smokers who have switched to vapes look for the same nicotine hit they get from tobacco. 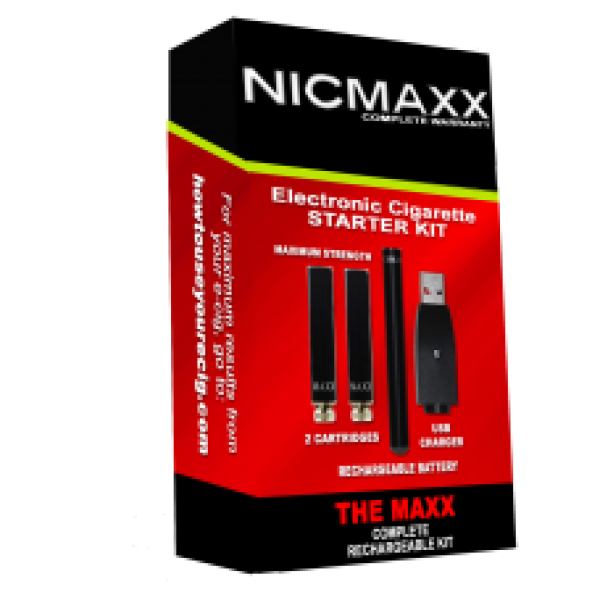 NICMAXX offers 36 mg e-liquid for the vaping experience closest to smoking an actual cigarette. The e-liquid contains the most important components of a vape: nicotine and flavor. These two are released when the battery-operated device known as atomizer heats the e-liquid or e-juice. The process produces vapor and allows the user to inhale the nicotine and flavoring such as tobacco found in the solution. NICMAXX e-liquids are made with common chemicals proven safe for human use. It contains propylene glycol (PG) or vegetable glycerin (VG) as base, nicotine, flavoring and water for dilution. PG and VG compose the base solvent of the e-juice and are the source of the vapor produced by e-cigs. The flavoring lends a unique taste to the vape while the nicotine gives the stimulating throat and lung hit that smokers want. E-juice comes in varying flavors and concentrations of nicotine. The quality of the nicotine used in e-juice also differs, depending on the reputation of the manufacturer. Many vaping experts recommend choosing American-made e-liquids because these brands stick to higher quality standards and make their e-juices with laboratory-grade nicotine. The secret to vape satisfaction is using the right e-liquid or e-juice with your e-cig. Here at NICMAXX, we have e-liquids in concentrations as mild as 3 mg to as high as 36 mg. We use classic tobacco and menthol flavors for our e-liquids, creating vapes that make you feel like you are smoking the real thing. Vapers should know how much nicotine they want so they can fully enjoy their e-cig. If they take too little nicotine, they may feel shortchanged with their vape and may end up smoking again. Too much nicotine, on the other hand, can harm the body and cause side effects such as headaches and dizziness. The varying nicotine strength of e-liquids allows vapers to customize their vaping experience and choose according to what they need. Knowing the right nicotine strength for you can help you make the right choice, and keep you away from picking up an actual tobacco cigarette. With a 36 mg e-liquid, vapers will get a strong throat hit and a full nicotine blast. 36 mg is the highest concentration in e-liquids and is often the choice of heavy smokers who are used to the full effects of smoking tobacco. We at NICMAXX understand how difficult it is to quit smoking. This is why we make vapes that 9 out of 10 smokers prefer over other brands. Our e-liquids are formulated to support smokers on their way to quitting, by supplying them with the right amount of nicotine they need. NICMAXX e-liquids are also stored in childproof bottles to prevent untoward incidents involving children and pets. NICMAXX products are developed through years of extensive research and feedback from clients. We have experimented and tested different types of batteries, spices, flavors, and glycols so we can produce vapes that will give you a consistent and satisfying experience. NICMAXX is one of the e-cig industry’s founding brands, making vapes since 2007. We sell starter kits, disposables, refillables, e-liquids and other vaping accessories. We also customize kits and offer a wide range of flavors loved by smokers. Find out why 9/10 smokers prefer NICMAXX. Buy 36 mg e-liquid and other vaping needs at NICMAXX.com! Get free shipping on orders over $75!